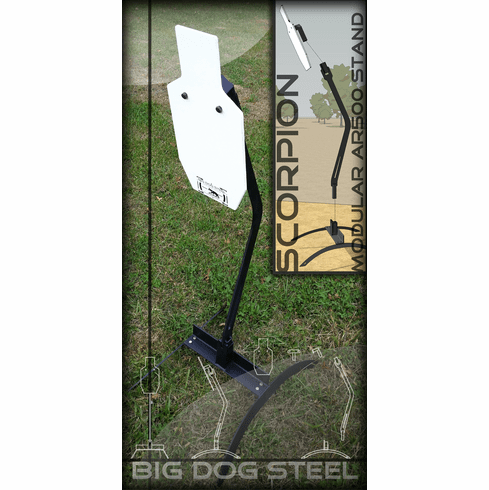 Our new Scorpion stand features an AR500 stand, protector plate and portable base with AR400 legs. Targets bolt to our upper bracket. The bracket slides into our AR 500 stand. The stand slide into our base. The stands set up in the field in a snap. No bolts or wrenching required in the field as our stands are one piece. Made to take abuse our new scorpion stand, crushes the competition. Stands come standard with our B/C IPSC® Target (roughly 12x24 with a 6x6 head). Stand will also be available with a 12" Circle, 66% IPSC or 50% IPSC. As always when comparing prices, please note... Our shipping is included in the price.